Need some help with restless nights now and again? 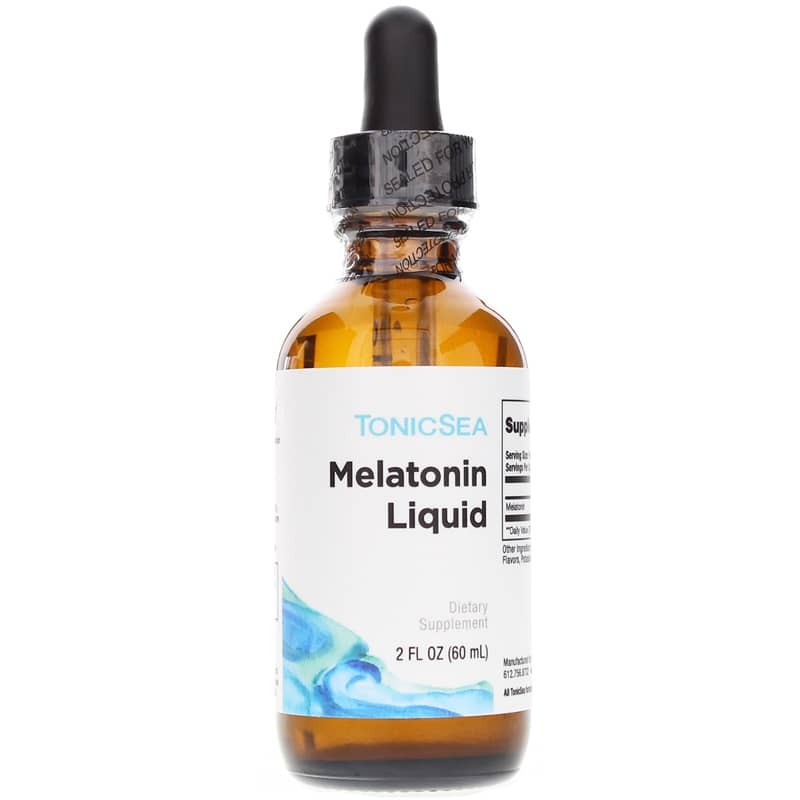 Get natural, great-tasting support with Melatonin Liquid from Tonicsea. This melatonin supplement provides 1 mg of melatonin per serving in a great-tasting, fast-acting liquid to help support healthy sleep. Manufactured from the neurotransmitter serotonin, the hormone melatonin helps regulate our sleep and wake cycle, also known as the circadian rhythm. Just before bed, darkness stimulates melatonin secretion, which readies our body for sleep. However, this cycle can be thrown out of balance at times, whether we're dealing with stress, odd work hours or jet lag. Melatonin supplementation may help the body adjust to occasional disturbances in sleep. 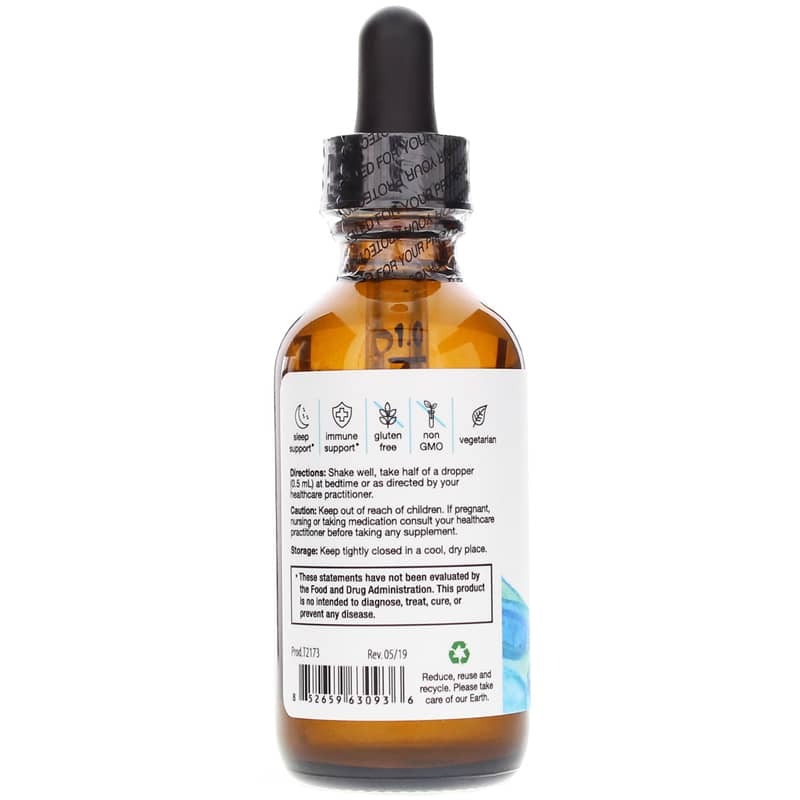 This liquid formula allows for easy absorption in the mouth, allowing it to take effect quickly. And don't worry about an icky cough-syrup taste. With xylitol and natural flavors, it's easy to take. Stop tossing and turning. Order Melatonin Liquid today. Other Ingredients: water, glycerin, xylitol, natural flavors, potassium sorbate (preservative), citric acid. Contains NO: corn, wheat, gluten, dairy, egg, sugar, starch, sodium, soy, yeast, artificial flavors or colors. Vegetarian. Adults: Shake well. Take half of a dropper (.5 ml) just prior to bedtime as needed, or as directed by your healthcare practitioner. Place one serving under tongue (.5 ml) and hold for 30 seconds or mix with 8 oz. with water. Store unopened product in a cool dry place. Refrigerate after opening.